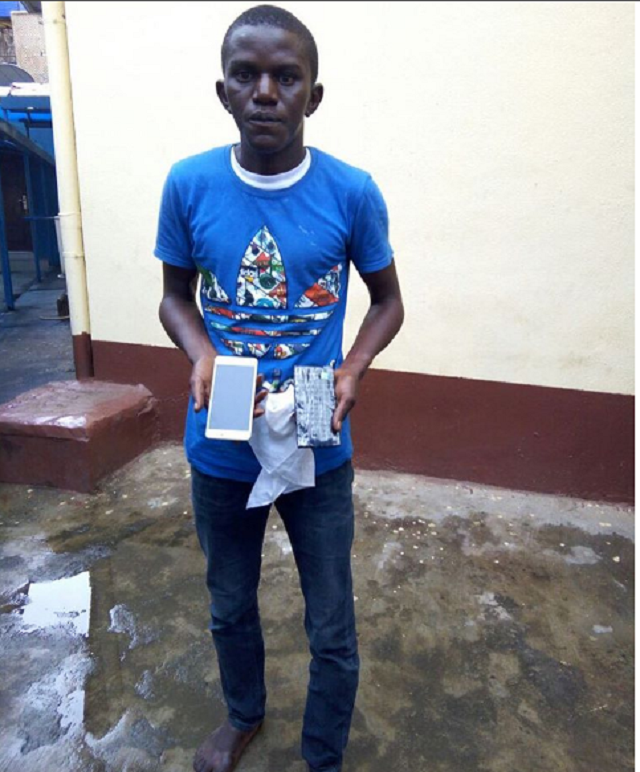 An 18-year-old man, Segun Adeyefa, whose 'hustle' is to sell bar soaps in the guise of mobile phones to unsuspecting people in traffic, has been arrested by operatives of Rapid Response Squad (RRS), of Lagos State Police Command, while on a routine patrol of Ikorodu Motor Park on the night of Tuesday, August 30, 2016. Adeyefa who confessed to the act said he was on a revenge mission after he was also swindled in the same manner about a year ago by his likes, adding that he had successfully sold the bar-phone to a man at N3,500 before he was caught that day. “My action was prompted when I was swindled by two guys about a year ago by this way. That very moment I promised myself to revenge. I learned those tactics by understudying the material. The item contained cut-to-size soap, carton and wrapped all together with a cello tape. What I usually do is called exchange. My prospective victims will have the mind of buying the handset from me but unknowingly to them, I would have changed the real handset to soap wrapped with a cut to size carton put inside an envelope." "I will engage them in discussion after showing them the real phone initially, and in the process of bargaining for the price, I will change it. And, I will tell them to keep the phone inside their pockets immediately that people are watching us."